My friends and I ate at Owl of Minerva located at First Markham Place afew weeks ago. The restaurant itself reminds me of Huh Ga Ne but has none of its fanciness and it could be as small as or even smaller than the Owl of Minerva located in North York that’s open 24 hours. There aren’t any traditional tables and seats at First Markham Place, at least out front. The menu at First Markham Place differs from the menu at Uptown Waterloo or North York. 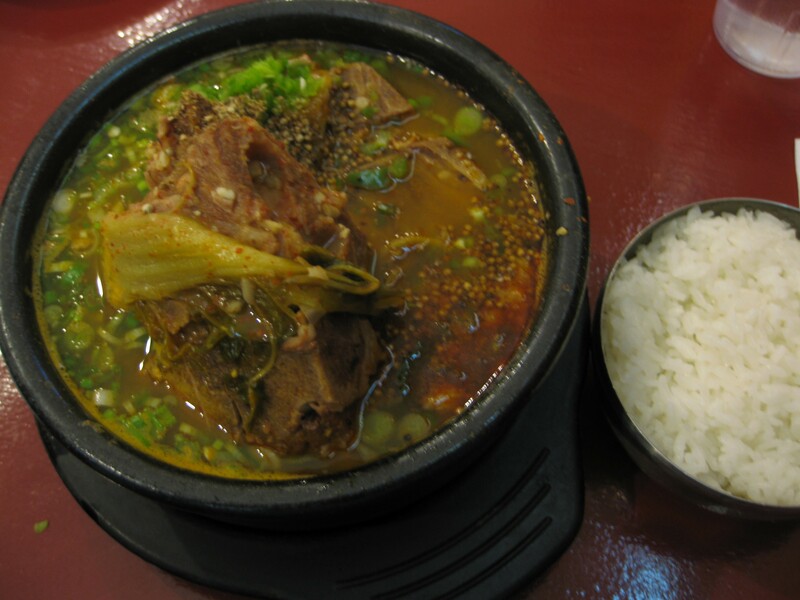 It focuses on kam ja tang (pork bone soup). There’s a variety of pork bone soup on the menu at First Markham Place. Three of my friends and I had some variation of pork bone soup while another friend had jap chae. 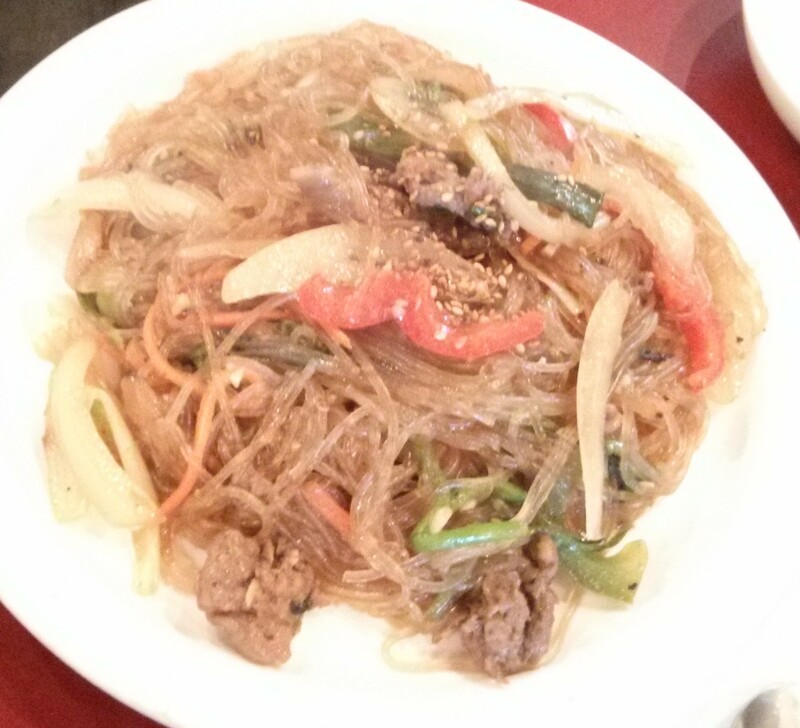 My friend likes the jap chae at Owl. One friend just got the original/regular pork bone soup. 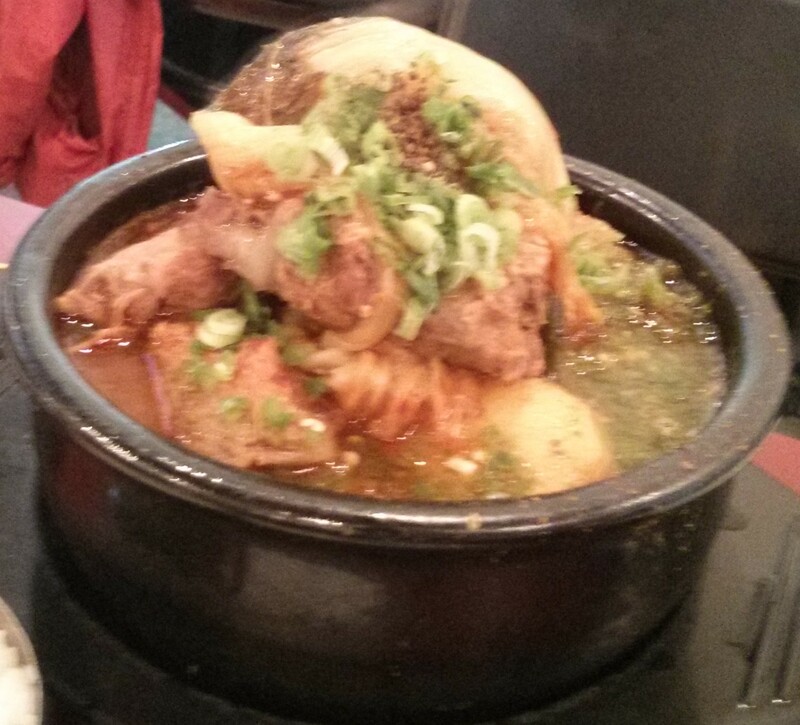 Another friend got pork bone soup with rice cakes while another friend had the pork bone soup with dumplings. They both enjoyed it. I had the pork bone soup with seafood ($10 with tax). The seafood is miniscule. There were mini-mussel, mini shrimp and mini oyster. It also has rice cakes. 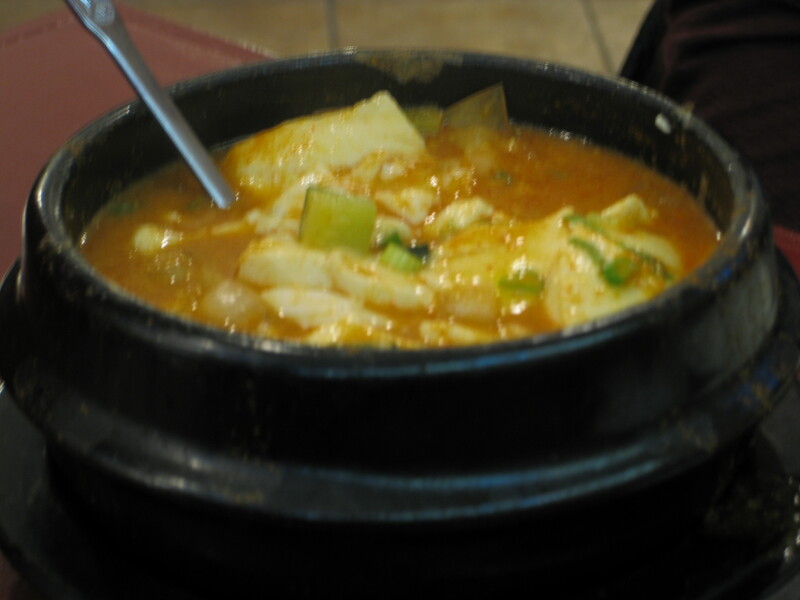 The kam ja tang itself is comparable to the ones I had at other locations. I still like Owl of Minerva for their pork bone soup. Back in early April when the power was out in most of Waterloo, my friends and I had dinner at Owl of Minerva because I still didn’t have power at 7pm. I’ve been to Owl of Minerva before at Uptown Waterloo and in North York on Yonge Street. The first time I went to Owl of Minerva, I was in elementary school. The last time I went to Owl, I ordered dolsot bibimbap. 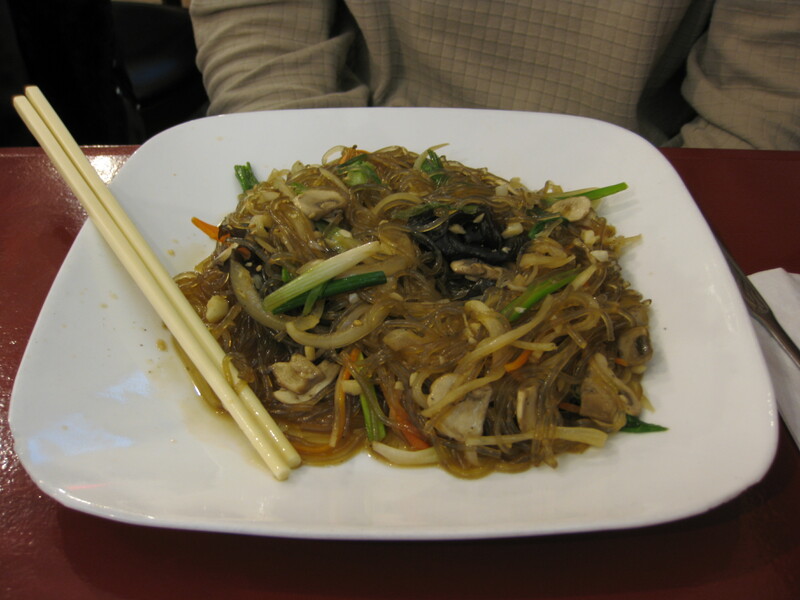 One of my friends ordered Japchae because he’s a vegan and he liked eating Japchae. Another friend ordered seafood stew because she loves the seafood stew at Owl. 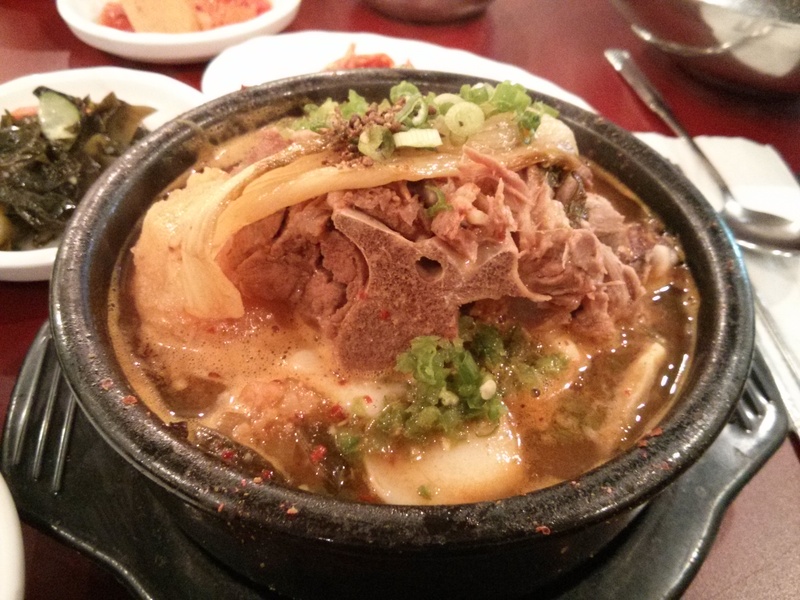 The rest of us ordered pork bone soup because that’s the specialty of Owl. 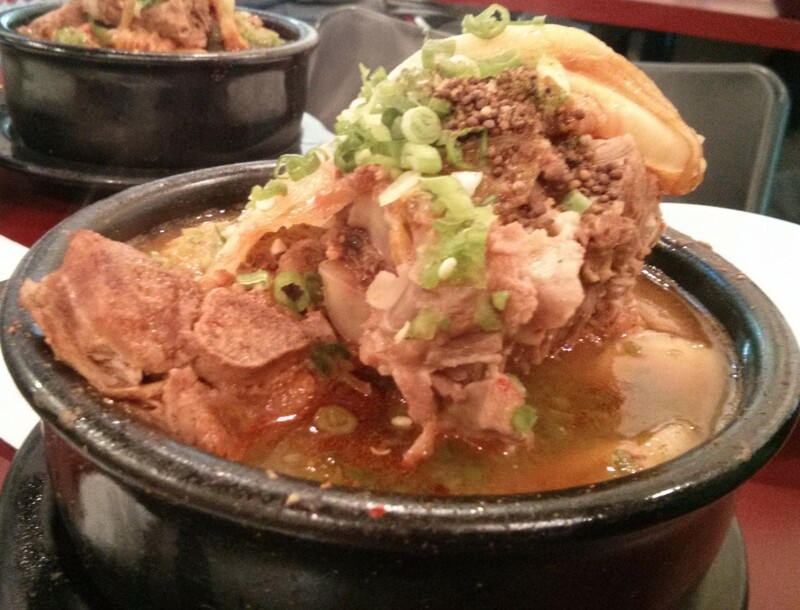 I really enjoy the pork bone soup at Owl. 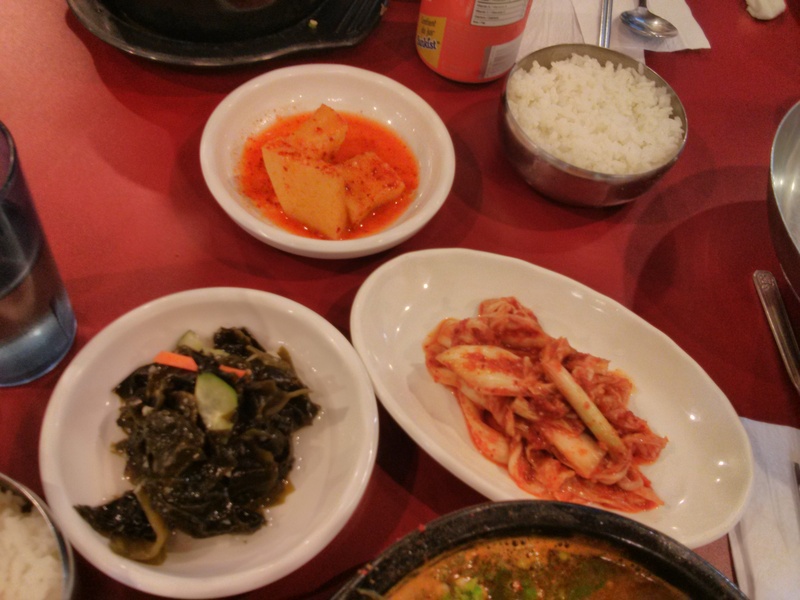 The kimchi we were given are spicier compared to kimchi at other Korean restaurants in Ontario. 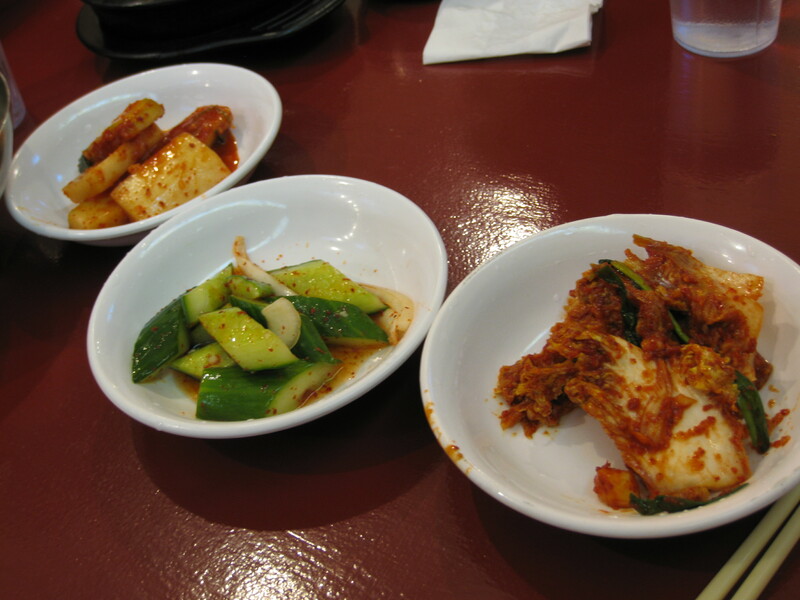 There’s only 3 kimchi dishes at Owl compared to the usual 4+ kimchi dishes at other Korean restaurants. 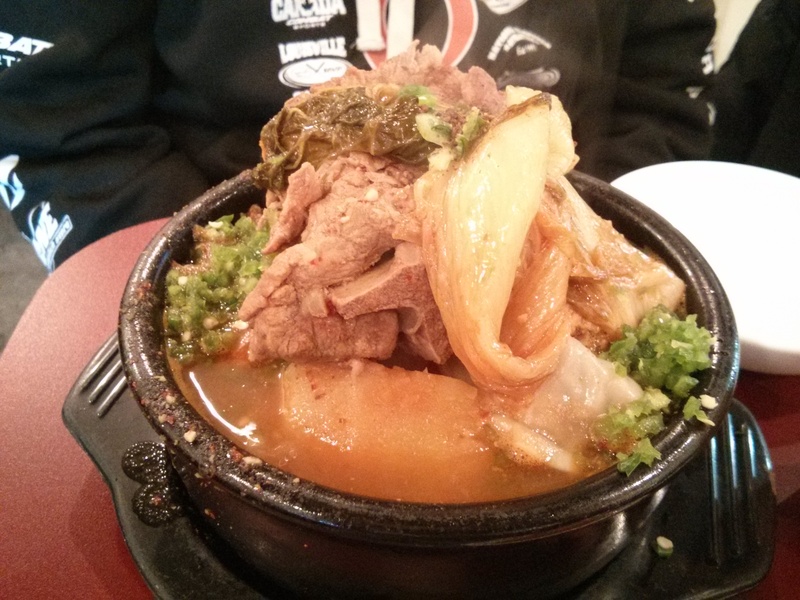 If you want pork bone soup or any other Korean dish, Owl of Minerva is a good place to go to.